Comedy Central is on a bit of a renewal spree this week. Following news that South Park is returning for three seasons, an even more immature, possibly more animated (though live action) series is coming back. 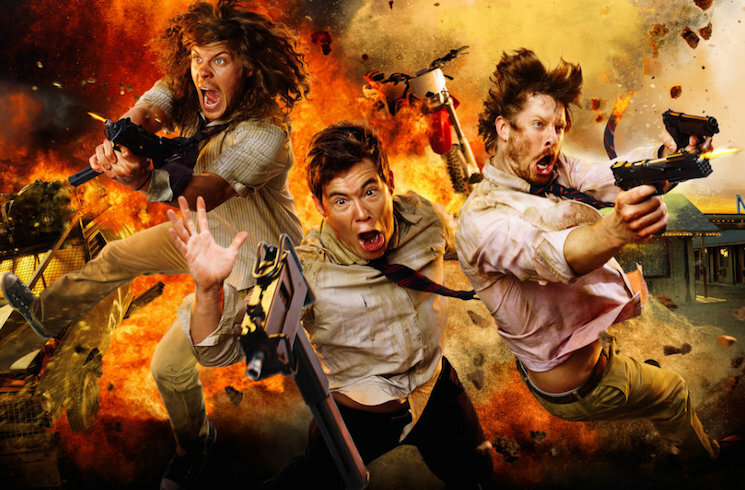 That's right — Workaholics will get at least two more seasons. The series stars Blake Anderson, Adam Devine and Anders Holm, who are often joined by their partner in crime and co-creator Kyle Newachuk. For the uninitiated, Workaholics is a slacker comedy from a long lineage of slacker comedies, though it often comes with elaborate, fantastical plots. "I remember when the title of this show was ironic," said Comedy Central president Kent Alterman in an announcement. The sixth season of Workaholics will begin in January 2016. In Canada, Workaholics airs on MUCH.